Model 20i-BMD – Designed to operate in conjunction with Blackmagic Design Videohub series routers, directly via Ethernet. 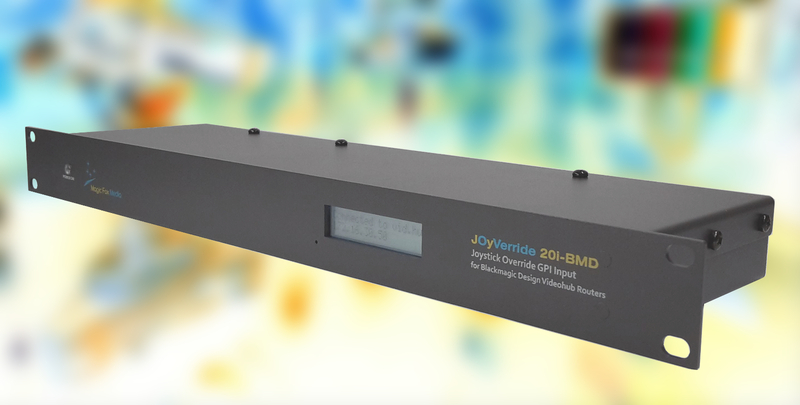 JOyVerride 20i-BMD interface provides the perfect solution for “Joystick Override” switching mode when using Blackmagic Design video routers for broadcast camera color matching and iris adjustments. 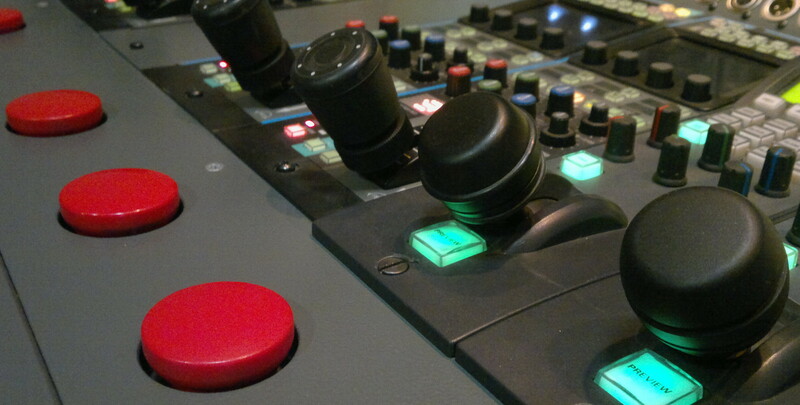 The interface interconnects BMD Videohub series routers* and traditional RCPs** whose iris joysticks feature electrical contact closure while temporary keep pressing on them. All GPI inputs are internally connected to a floating +5V voltage via pull-up resistors. No additional power supply is required to ensure the contact closure current. 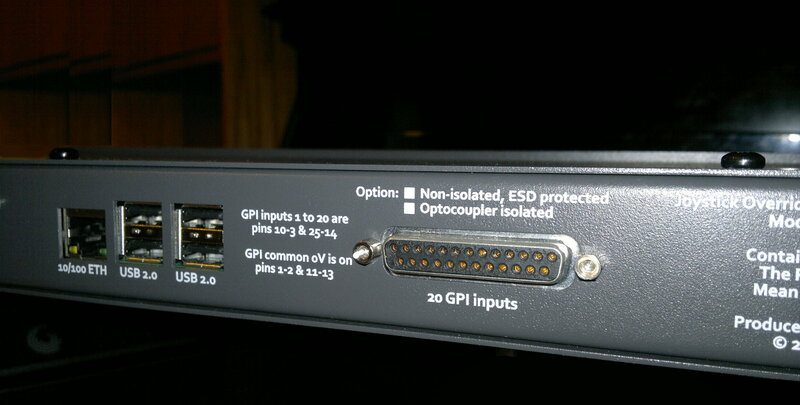 A custom unpowered GPI inputs version may be available on special request. Please contact us for more technical information. Once configured, the interface connects to the video router through the wired network infrastructure. Price does not include any applicable taxes, custom duties or shipping costs. Dispatch: please allow 3-5 weeks before your order ships. Payment: 20% with order, the balance before dispatch. We accept Paypal or T/T. Shipping: you can collect, or we can use DHL and add the cost to the final invoice. Copyright © 2015-2019 Magic Fox Media s.r.l.. All rights reserved. Product features, design and specifications are subject to change without notice.